1. Bole-Feysot C., Goffin V., Edery M. Binart N., Kelly P.A. Prolactin (PRL) and its receptor: actions, signal transduction pathways and phenotypes observed in PRL receptor knockout mice. Endocr. Rev. 1998; 19: 225–268. 2. Goffin V., Binart N., Touraine P., Kelly P.A. Prolactin: the new biology of an old hormone. Ann. Rev. Physiol. 2002; 64: 47–67. 3. Ben-Jonathan N., Mershon J.L., Allen D.L., Steinmetz R.W. Extrapituitary prolactin: distribution, regulation, functions and clinical aspects. Endocr. Rev. 1996; 17: 639–669. 4. Soares M.J. The prolactin and growth hormone families. Pregnancy-specific hormones/cytokines at the maternal-fetal interface. Reprod. Biol. Endocrinol. 2004; 2: 515. 5. Романцова Т.И., Мельниченко Г.А., Черноголов В.А. Проблемы диагностики гиперпролактинемических состояний. Consilium medicum. 1999; 1 (2): 2–8. 6. 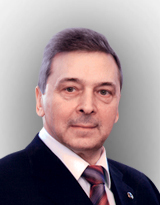 Дедов И.И., Мельниченко Г.А., Романова Т.И. Синдром гиперпролактинемии: диагностика и лечение. В кн. : Заболевания гипоталамо-гипофизарной системы: мат-лы Росс. науч.-практ. конф. М. 2001. 7. Goffin V., Shiverick T, Kelly P.A., Martial J.A. Sequence-function relationships within the expanding family of prolactin, growth hormone, placental lactogen, and related proteins in mammals. Endocr. Rev. 1996; 17: 385–410. 8. Myal Y., DiMattia G.E., Gregory C.A., Friesen H.G., Hamer-ton J.L., Shiu R.P.A. BglII RFLP at the human prolactin gene locus on chromosome 6 (PRL). Nucl. Acids Res. 1991; 19 (5): 1167. 9. Серебрянский О.Ю. Клинико-иммунологические особенности гиперпролактинемического гипогонадизма у женщин репродуктивного возраста. Автореф дис. … канд. мед. наук. М. 2002. 32 с. 10. Ben-Jonathan N., LaPensee C.R., LaPensee E.W. What can we learn from rodents about prolactin in humans? Endocr. Rev. 2008; 29: 1–41. 11. Clevenger C.V., Gadd S.L., Zheng J. New mechanisms for PRLr action in breast cancer. Trends Endocr. Metabol. 2009; 20: 223–229. 12. Teilum K., Hoch J.C., Goffin V., Kinet S., Martial J.A., Kragelund B.B. Solution structure of human prolactin. J. Mol. Biol. 2005; 351: 810–823. 13. Swaminathan G., Varghese B., Fuchs S.Y. Regulation of prolactin receptor levels and activity in breast cancer. J. Mamm. Gland. Biol. Neoplas. 2008; 13: 81–91. 14. Touraine P., Martini J.F., Zafrani B., Durand J.C., Labaille F., Malet C., Nicolas A., Trivin C., Postel-Vinay M.C., Kuttenn F., Kelly P.A. Increased expression of prolactin receptor gene assessed by quantitative polymerase chain reaction in human breast tumors versus normal breast tissues. J. Clin. Endocrinol. Metabol. 1998; 83: 667–674. 15. Jacobson E.M., Hugo E.R., Tuttle T.R., Papoian R., Ben-Jonathan N. Unexploited therapies in breast and prostate cancer: blockade of the prolactin receptor. Trends Endocrinol. Metab. 2010; 21 (11): 691–698. 16. Goffin V., Bernichtein S., Touraine P., Kelly P.A. Development and potential clinical uses of human prolactin receptor antagonists. Endocr. Rev. 2005; 26 (3): 400–422. 17. Clevenger C.V., Furth P.A., Hankinson S.E., Schuler L.A. The role of prolactin in mammary carcinoma. Endocr. Rev. 2003; 24 (1): 1–27. 18. Gutzman J.H., Nikolai S.E., Rugowski D.E., Watters J.J., Schuler L.A. Prolactin and estrogen enhance the activity of activating protein 1 in breast cancer cells: role of extracellularly regulated kinase 1/2-mediated signals to c-fos. Mol. Endocrinol. 2005; 19: 1765–1778. 19. Acosta J.J., Munoz R.M., Gonzalez L., Subtil-Rodriguez A., Dominguez-Caceres M.A., Garcia-Martinez J.M., Calcabrini A., Lazaro-Trueba I., Martin-Pеrez J. Src mediates prolactin-dependent proliferation of T47D and MCF7 cells via the activation of focal adhesion kinase/Erk1/2 and phosphatidylinositol 3-kinase pathways. Mol. Endocrinol. 2003; 17: 2268–2282. 20. Fox E.M., Andrade J., Shupnik M.A. Novel actions of estrogen to promote proliferation: integration of cytoplasmic and nuclear pathways. Steroids. 2009; 74 (7): 622–627. 21. Gonzalez L., Zambrano A., Lazaro-Trueba I., Lopez E., Gonzalez J.J., Martin-Perez J., Aranda A. Activation of the unliganded estrogen receptor by prolactin in breast cancer cells. Oncogene. 2009; 28 (10): 1298–1308. 22. Dinan T.G. Prolactin and Dophamine: What is the connection? J. Psychopharm. 2008; 22 (2): 12–19. 23. Mallmann E.S., Ribeiro M.F., Spritzer P.M. Effect of serotonin depletion by p-chlorophenylalanine on serum prolactin levels in estrogen-treated ovariectomized rats: insights concerning the serotoninergic, dopaminergic and opioid systems. Horm. Metab. Res. 2001; 33 (6): 337–342. 24. Jorgensen H.S. Studies on the neuroendocrine role of serotonin. Dan. Med. Bull. 2007; 54 (4): 266–288. 25. Di Sciullo A., Bluet-Pajot M.T., Mounier F., Oliver C., Schmidt B., Kordon C. Changes in anterior pituitary hormone levels after serotonin 1A receptor stimulation. Endocrinology. 1990; 127 (2): 567–572. 26. Gouveia E.M., Franci C.R. Involvement of serotonin 5HT1 and 5HT2 receptors and nitric oxide synthase in the medial preoptic area on gonadotropin secretion. Brain Res. Bull. 2004; 63 (3): 243–251. 27. Rittenhouse P.A., Bakkum E.A., Levy A.D., Li Q., Carnes M., van de Kar L.D. Evidence that ACTH secretion is regulated by serotonin2A/2C (5-НТ2A/2C) receptors. J. Pharmacol. Exp. Ther. 1994; 271:1647–1655. 28. Лычкова А.Э., Петраков А.В., Хомерики С.Г. К вопросу о моделировании остеопороза. Вестник РАМН. 2010; 4: 31–33. 29. Тумилович Л.Г. Онтогенез и регуляция функции репродуктивной системы. В кн. : Неоперативная гинекология: Рук-во для врачей. Под ред. В.И. Бодяжиной и др. М.: Медицина. 1990. С. 45–97. 30. Лычкова А.Э. Роль медиаторных веществ в развитии миокардита. В кн. : Клинические исследования лекарственных средств в России. 3-я Междунар. конф. Приложение к журналу. М. 2003. С. 215–217. 31. Лычкова А.Э. Особенности воздействия некоторых вегетотропных препаратов на возбудимость холинергических структур, контрактильную функцию сердца и электромотор-ную активность желудка. Эксп. клин. гастроэнтерол. 2005; (5): 79–81. 32. Дедов И.И., Дедов В.И. Биоритмы гормонов. М. 1992. 33. Goffin V., Touraine P., Culler M.D., Kelly P.A. Drug Insight: prolactin-receptor antagonists, a novel approach to treatment of unresolved systemic and local hyperprolactinemia? Nat. Clin. Pract. Endocrinol. Metab. 2006; 2 (10): 571–581. 34. Балан В.Е., Ильина Л.М. Предменструальный синдром. Consilium medicum. 2002; 4 (8). 35. Prilepskaya V.N., Revazova F.S. Vitex agnus castus: Successful treatment of severe premenstrual syndrome. Maturitas. 2006; 55 (1): 55–66. 36. Milewicz A., Jedrzejuk К. Premenstrual syndrome: From etiology to treatment. Maturitas. 2006; 55 (1): 47–55. 37. Liu Y.Y., Ju G. Galanin-like immunoreactive nerve fibers in the anterior pituitary of the normal and adrenalectomised rat. Acta Histochem. 1998; 100: 149–156. 38. Ma D., Zhao C., Mayhew T.M., Ju G. Response of substance P-immunoreactive nerve fibers in the anterior pituitary to plasma oestrogen concentrations in the rat. J. Neuroendocrinol. 1997; 9: 735–740. 39. Liu Y.Y., Morris J.F., Ju G. Synaptic relationship of substance P-like-immunoreactive nerve fibers with gland cells of the anterior pituitary in the rat. Cell Tiss. Res. 1996; 285: 227–234. 40. Zhang P., Liu L., Xie C.J., Wang K.H., Gao L.Z., Ju G. Excitatory and inhibitory effects of prolactin release activated by nerve stimulation in rat anterior pituitary. Reprod. Biol. Endocrinol. 2009; 7: 154. 41. Сметник В.П., Осипова А.А. Гиперпролактинемия: реакция костной ткани и эффективность терапии каберголином. Пробл. репродукции. 2000; 6: 30–36. 42. Molitch M.E. Medication-induced hyperprolactinemia. Mayo Clin. Proceed. 2005; 80: 1050–1057. 43. Дедов И.И., Балаболкин М.И., Марова Е.И. Болезни органов эндокринной системы. M.: Медицина. 2000. 568 с. 44. Naylor M.J., Lockefeer J.A., Horseman N.D., Ormandy C.J. Prolactin regulates mammary epithelial cell proliferation via autocrine/paracrine mechanism. Endocrine. 2003; 20: 111–114. 45. Diogenes A., Patwardhan A.M., Jeske N.A., Ruparel N.B., Goffin V., Akopian A.N., Hargreaves K.M. Prolactin modulates TRPV1 in female rat trigeminal sensory neurons. J. Neurosci. 2006; 26: 8126–8136. 46. Ramot Y., Biro T., Tiede S., Toth B.I., Langan E.A., Sugawara K., Foitzik K., Ingber A., Goffin V., Langbein L., Paus R. Prolactin — a novel neuroendocrine regulator of human keratin expression in situ. FASEB J. 2010; 24 (6): 1768–1779. 47. Bole-Feysot C., Goffin V., Edery M., Binart N., Kelly P.A. Prolactin and its receptor: actions, signal transduction pathways and phenotypes observed in prolactin receptor knockout mice. Endocr. Rev. 1998; 19: 225–268. 48. Ben-Jonathan N., Hnasko R.M. Dopamine as a prolactin inhibitor. Endocr. Rev. 2001; 22: 724–763. 50. S. Progesterone-dependent decidualization of the human endometrium is mediated by cAMP. Endocrine. 1997; 6: 301–307. 51. Stewart E.A., Rein M.S., Friedman A.J. Glycoprotein hormones and their common α-subunit stimulate prolactin production by explant cultures of human leiomyoma and myometrium. Am. J. Obstet. Gynecol. 1994; 170: 677–683. 52. Richards R.G., Hartman S.M. Human dermal fibroblast cells express prolactin in vitro. J. Invest. Dermatol. 1996; 106: 1250–1255. 53. Zinger M., McFarland M., Ben-Jonathan N. Prolactin expression and secretion by human breast glandular and adipose tissue. J. Clin. Endocrinol. Metab. 2003; 88: 689–696. 54. Lafuente A., Gonzalez-Carracedo A., Romero A. Cano P., Esquifino A.I. Effect of nitric oxide on prolactin secretion and hypothalamic biogenic amine contents. Life Sci. 2004; 74 (13): 1681–1690.